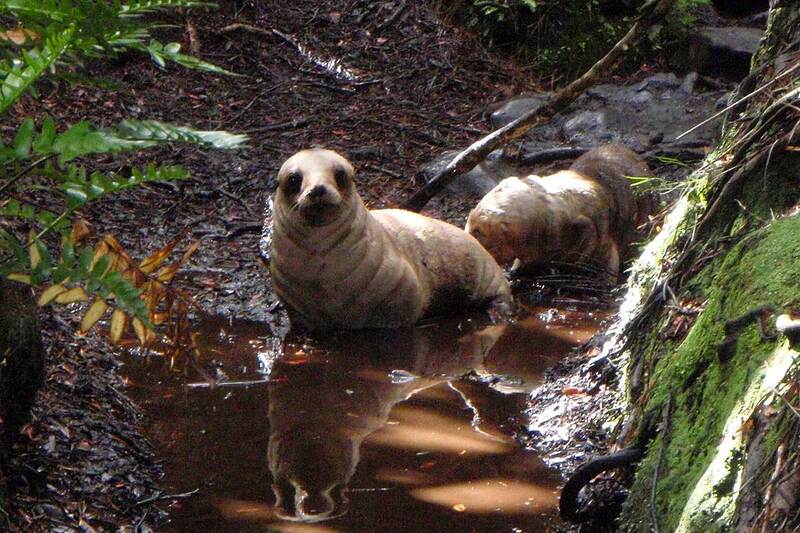 Sea lion pup enjoying a creek in the forest. While celebrating the Department of Conservation’s announcement of a New Zealand sea lion (rāpoka) breeding colony on Stewart Island, a Massey University marine mammal specialist is calling for further action to protect the endangered species. Beginning with a two-person team eight years ago, Massey University’s Associate Professor Louise Chilvers has been visiting the island each year to make pup counts. Dr Chilvers recently returned from undertaking the count on Stewart Island, working with a team of five from the Stewart Island and Southland Department of Conservation areas and Auckland Zoo. “Last year we tagged the pup of a female that we tagged as a pup on Stewart Island from five years previously. It was pretty special to see the generations are staying in the area. That community help came in the form of sightings and photos eight years ago. 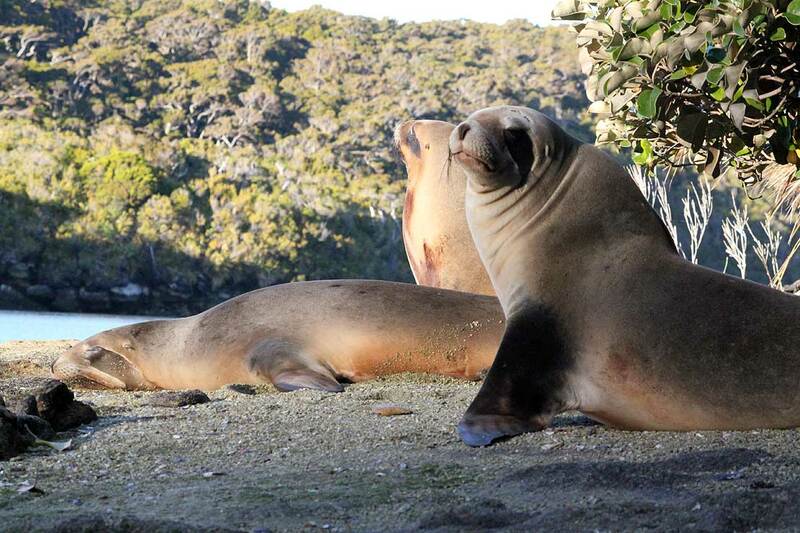 There had been reports of sea lions breeding on Stewart Island, but never any photos to confirm pupping. So information sheets were sent out with hunting block permits for the island because people would often spot the sea lions when hunting or hiking on the island. “This wasn’t intended to be an accurate count because females actually raise pups mostly in the forest, not the beaches like people assume. It’s also hard to tell the difference between a juvenile male and an adult female, so we needed to go ourselves – but we could only make the trip if we knew they were there. “In the end, people sent back information about sea lions they saw – and we had three females and five pups reported and shown in one photo, so that gave us all the information we needed to start the counts and research.